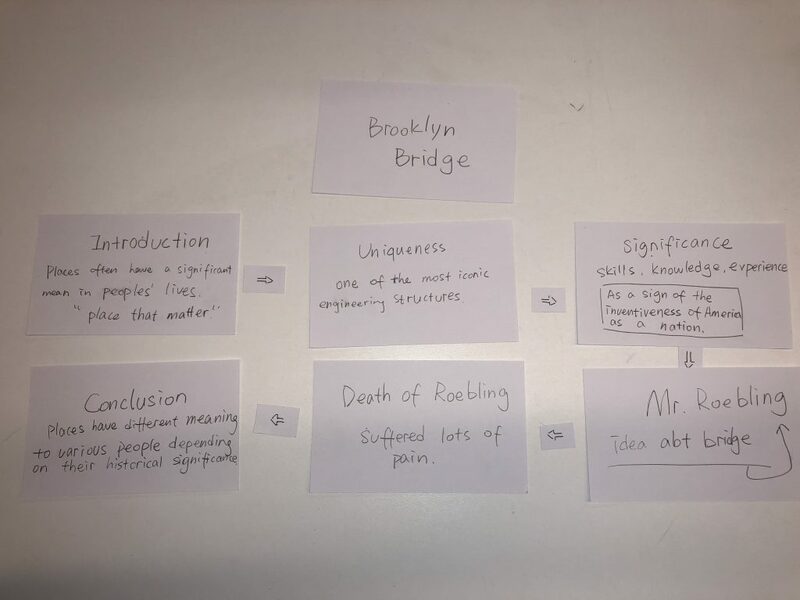 The research paper I choose the Brooklyn bridge. The idea processing through the 6 main ideas. Mainly about its history, construction and significance. After the research of scholarly article books and newspaper, I will have more information about it. Add some of my own experiences deeply analysis central park’s identity.